Why Choose Us For Your Car Rental? 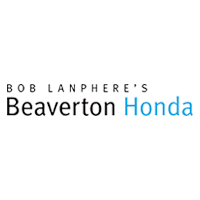 Beaverton Honda is the one place to reserve your Honda car rental in the Portland Metro Area! Honda Rental Cars are a great choice for an extended test drive, a special occasion, visiting relatives, after a car accident, or for a vacation! Whether you’re looking to rent a Honda similar to your own vehicle, or to try out a completely different model, we’ve got a Honda for you! Our Honda rental fleet includes luxury sedans, compact SUV’s and high-end SUV’s with every technological feature you could want. Call, book online or stop by Beaverton Honda to reserve your Honda car rental today! Is the rental department open on Sundays? You may drop off your rental vehicle on Sunday, but you cannot schedule a pick-up on Sunday. What do I need to bring to rent a vehicle? Bring a valid driver’s license and current proof of full coverage insurance and a credit card in the name of the renter. Do I need to provide my own car insurance or can I purchase it there? At this time, we do not offer any additional insurance coverage. The renter must provide proof of full coverage auto insurance. Is there a deposit required to rent a vehicle? Yes, a $250 deposit is required. If the vehicle is returned undamaged and with a full tank of gas, your deposit will be refunded. What type of payment methods are accepted for the deposit? You must use a credit card in the name of the renter to pay the deposit. A debit card or a prepaid credit card will cannot be accepted. Can I bring my pet in the rental vehicle? Pets are allowed only when secured in approved pet carriers. The rental agent will address this with you when you let us know you have a pet. Can I smoke or vape in your rental vehicle? All of our rental vehicles are strictly smoke and vape free. Can I drive your rental to Canada? No. Our rentals can get you to the border, but you have to walk across. Our cars cannot leave the United States. Do you have any all wheel drive vehicles? Yes. The CR-V and Pilot that we offer are all wheel drive. Do you have any other brands available for rent? No. We are the one and only Honda exclusive rental agency in the Portland metro area. Do you have any Honda’s with manual transmissions? No. Our Honda vehicles come equipped with either an 8-speed automatic transmission or Honda’s CVT (Continuously Variable Transmission). What If I forget to fill the rental car up with gas before I return it? We charge a minimum of $18, which includes a fourth tank of gas. Refueling charges can cost up to $72 for a full tank of gas, no matter the vehicle, and will be deducted from your $250 deposit. Can I rent a Honda Odyssey? Yes! Our Odysseys come fully equipped with navigation, theater, leather, and driver assistive technologies. Reserve Yours Today!